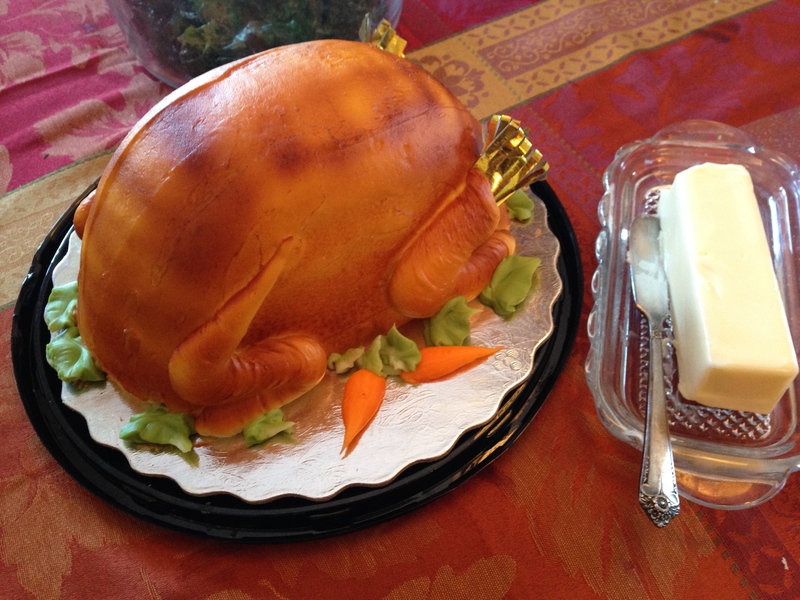 Why anyone would ever want a cake-shaped meat is beyond me, but its curious existence was a source of joy for folks assembled at our Thanksgiving table. Such a unique sugary creation harkens back to the earliest elite uses of sugar as sculptural art form, as described by Sidney Mintz in his classic book, Sweetness and Power. A point perhaps supported by the fact that this cake was purchased at Byerly’s, a local purveyor of groceries to the upper and upper-middle classes. Isn’t it actually a “meat shaped cake”?